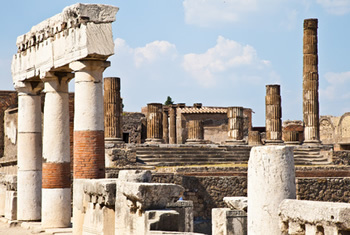 This day excursion is designed for those wish to enjoy the highlights of the archaeological site of POMPEII, SORRENTO and highlights of NAPLES. 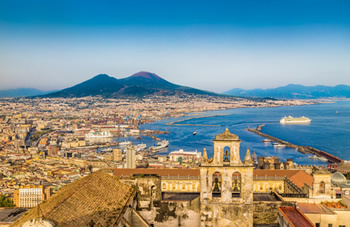 You will be greeted at the Port of Naples before making your way to the archaeological site of Pompeii, the ancient city whose ruins were preserved by the volcanic eruption that devastated it in 79AD. Here you will spend your morning, before continuing on to the picturesque coastal village of Sorrento for some sightseeing and lunch. The tour continues back to Naples to see some of the highlights of this colorful city, passing by the famous square Plebiscito, the Royal Palace, the picturesque gallery of Umberto and the maschio Angioino Castle. The day concludes with a visit to one the most important archaeological museums in Europe with artworks, private collections and the main artifacts founding during the excavation of Pompeii and Herculaneum. Euro 9.00 per person the archaeological Museum of Naples.